The month of May was especially brutal for a number of US and Australian retailers. In the US, GAP, L Brands, Macy’s Nordstrom and others reported weaker than expected or declining sales and profits. While in Australia, Wesfarmers announced an A$1bn write-down in the discount department store, Target, while the troubles with Big W remain ongoing. US Mall owners suffered. While the US REIT index climbed +2.3% for the month, leading Mall owners Simon Property (-1.2%), Macerich (+0.9%) and General Growth (-4.4%) underperformed. The sentiment is weak. Are we witnessing a structural change in the Mall industry, or is this simply a case of poor retailers that will ultimately be replaced by better operators? For the best part of 25 years, the Mall, both in direct and listed form, has been the ‘go to’ asset class for investors seeking low volatility and competitive total returns. Mall values and cashflows have avoided the wild swings associated with Office (and to a lesser extent Industrial) property (sans GFC) and has proven to be resilient even during recessions. 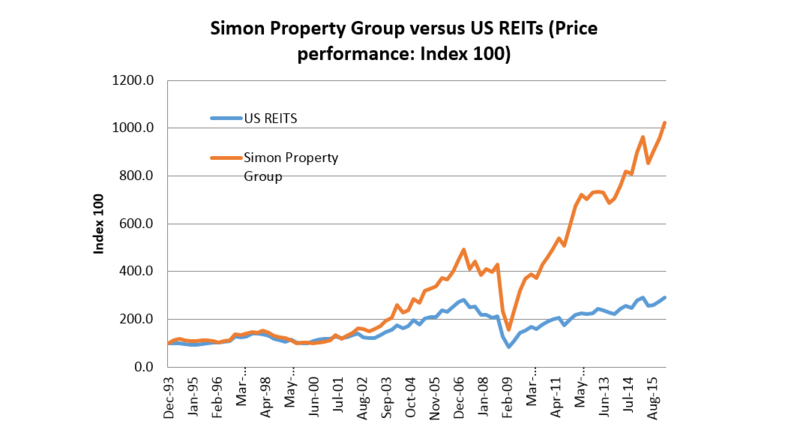 In the listed realm, the various incarnations of Westfield have been strong outperformers relative to the local indices, while in the US, property securities managers could build a portfolio around Simon Property Group (the largest US Mall owner) safe in the knowledge it would be a reliable outperformer. Why has the retail asset class (Regional / Super Regional in Australia, or Malls in the US) performed so well for so long? And more importantly, are the ingredients that supported past performance still applicable today? At Quay, we believe there were five significant advantages/tailwinds that supported Mall outperformance over the past 25 years. We discuss these factors below. In the late 1980s/early 1990s, the baby boomer generation was in the midst of a consumer boom. In 1990, this enormous cohort had an age range of 25-43 years of age. A demographic at or nearing peak incomes, busy with the task of child rearing and household formation. Not only was the age profile of this demographic perfect to support the growing Mall industry, middle-class incomes were the overwhelming majority of national consumption; perfect for mass merchandise sales. If you decided you wanted to be a national or regional retailer, you had to deal with the Malls. Catalogue and direct marketing were never a real substitute for physical store presence. And mall owners (via expansion) were taking significant share away from strip retail. Without the Mall, you simply did not have a business. The dominant Mall owners were relatively immune to failing retailers. Retail concepts always evolved and changed, but there was always one absolute: the physical store. For example, in Australia, electronics retailers have come, and some are now gone. Brashes & Vox (early 1990s) were replaced by Sanity (late 1990s). In the mid-late 2000s, JB Hi-Fi emerged. The business models evolved, but the rent was always collected. As one +200 store retailer wilted, there was always another to take the space – plus more. So long as the retail industry existed, the landlord collected the rent. As the boomer demographic snaked its way through the end of the 20th century, increasing demand from retailers keen to capture the rising spend allowed Mall owners to expand centres in a very low-risk manner, while generating high incremental return on capital. Unlike other asset classes, the Mall lent itself easily to incremental expansion. Importantly, this was very low-risk capital expenditure as Mall owners already had the best possible due diligence/feasibility analysis before development via long-term ownership and data collection. III. expansion that usually resulted in a better shopping experience widening a Mall’s economic moat, diversifying income with additional retailers and thereby reducing volatility in cash flows. Unlike an office landlord dealing with a major tenant on lease expiry, Mall operators had the advantage of knowing any one retail lease expiry was never a threat – only an opportunity. An opportunity to push up rents, replace a tenant or reconfigure the centre to extract higher returns. The loss of one tenant from over 200 tenancies is never going to cause investors too many headaches – an uncomfortable reality for tenants as they negotiated new terms. And while the larger department stores had some negotiating power, the leading Mall operators generally owned the ‘must have’ locations. When thinking about the future of Malls, we need to test whether the past tailwinds still exist – or indeed whether they are now headwinds. Boomers are now reaching retirement and are more likely to spend on health and other services than the Mall. And while the echo-boomers are a larger demographic in absolute numbers, this cohort have grown up with technology and is unlikely to have the same shopping habits as earlier generations. 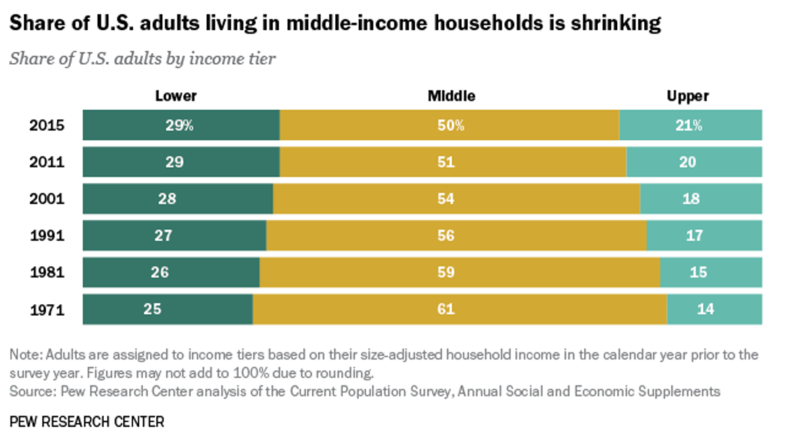 Also, the breadth of the middle class is narrowing, giving rise to a structural shift in retailing – go luxury or value. The middle ground, the typical bread and butter for Mall owners, is getting squeezed. Physical store presence remains a critical element for retail – but it is no longer the only channel for distribution. The growth in online retailing can no longer be ignored, and this will change how retailers think and react. Of course, this is not a new idea, and to date, the big Mall owners seem to have felt little impact. As far back as 2014 Wesfarmers CEO (Richard Goyder) stated that the US online retailing Amazon giant was a threat to his company. "I think Amazon is the biggest threat we've got to our business model at the moment," he told the National Press Club in Canberra in 2014 and continued “Amazon will eat all our breakfasts, lunches and dinners" unless Australian retailers are more innovative. This concern seems to be supported by the data – especially in the US. The old retail model was simple. Find the right trend or concept, and roll out the largest number of stores possible. The marginal capital required for a growing retailer is pretty low (since the landlords provide the real estate), so the marginal return on capital for each new store was extremely high, leaving plenty of margin to pay rent. It provided strong demand for Mall space that fed future developments. Today, the demise of a +300 store retailer is not so easy to replace. The new model will be to use the physical store to promote the items that can be bought online. New retailers probably do not need 200-300 stores to achieve this goal. It is costly (wages & distribution) unless supported by sales and margin. It is becoming clear to the best Mall operators that the right strategy is to own limited Malls in the best possible locations. It seems clear the five factors that supported the retail property asset class have changed. Demographics are no longer supportive, technology is providing retailers alternatives, and development opportunities are becoming limited. In fact, there is wide consensus in the US that there is excess supply. The short-term outlook for most Mall operators is likely to be ‘business as usual’. Indeed, that was the message from the recent International Council of Shopping Centres (ICSC) conference held in late May. Occupancies will remain high, and same-store rent growth will probably not disappoint investors over the next few years. But, at Quay, we recognise +75% of the value of real estate is determined by cashflows that occur after year five, and invest accordingly. Taking a +five year view, we hold the following beliefs. The best Malls will not only survive but thrive. They will remain the critical infrastructure for any credible retailer to directly meet customer needs and promote product that can also be sold online. Which are the best Malls? A good guide is total retail sales. 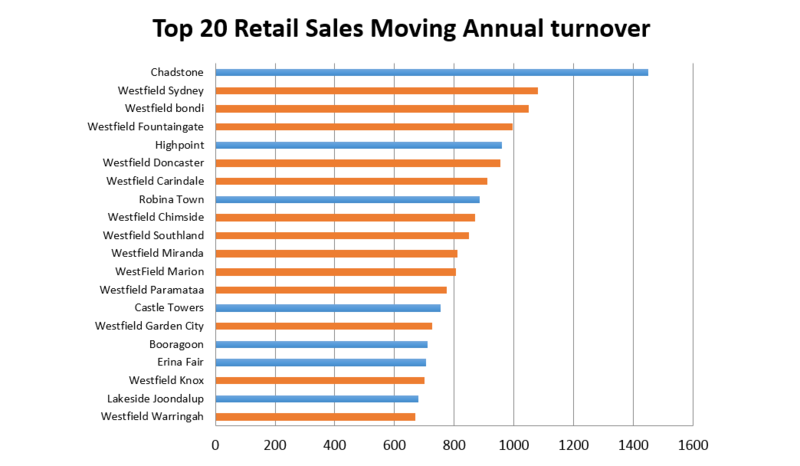 Below are the top 20 shopping centres in Australia by sales. Scentre Group (Westfield centres) own interests in 13 of the top 20 shopping centres in Australia. GPT and Vicinity have one each. (The Quay Global Real Estate Fund has a meaningful investment in Scentre Group, and we are not perturbed to receive a slightly lower FFO yield relative to peers for the privilege). “Several years ago we anticipated a global shift in the retail industry, driven by two key factors. One was the growing demand by luxury and high street retailers for quality space in the best urban locations. The second was the rapid uptake of digital technology. Development will be more targeted – again to the best centres. We expect return on capital to remain competitive but lower relative to history because of higher land value component due to the dense urban location of the flagship malls. Centres that do not fit with ‘best in class’ will have limited development opportunity and may become ‘CAPEX machines’ in the same way as Office property (lots of capital for low return) to keep major tenants. Many mid-level Malls will close – particularly in the US. Some research suggests department stores may need to close 15-20% of stores just to get sales per sqm back to 2006 levels, and over half of the 1,200 Malls across the US will close by 2035. The pain is unlikely to be as great in Australia and Europe, where retail store NLA per capita is significantly lower compared to the US. Malls located in high-density urban locations could well be the solution to the e-commerce dilemma of ‘last mile delivery’. This will create additional development opportunities for the ”best in class” Malls while stealing the thunder of the industrial property landlords. Smaller shopping centres that focus on groceries, services and pharmacy (which meet local needs) will continue to perform well. Online shopping is determined to get ‘grocery shopping right’ – but we are not confident they will succeed. I have watched plenty of people spend 2-5 minutes picking their three preferred apples before moving further down the aisle. I think as a species; we like to undertake our own ‘hunting and gathering’ due diligence. At Quay, we invest without reference to an index. To us, we define risk as the permanent loss of capital. For others, risk is defined as being different to the index. And around 30% of the global real estate index is represented by retail property. By not having to track an index, we are free to invest only in our best ideas. Today, we have zero exposure to the US Mall landlords. We would like the Fund to increase its exposure to our preferred retail landlords, but they are currently fully priced. We will remain patient and wait for a better entry point. Meanwhile, there will be times these companies will perform well – and we may be seen to be caught short. Indeed, we may prove to be overly pessimistic. That’s ok by us. Right now we are just not that comfortable with the risk-return dynamic and believe we can find attractive total return opportunities elsewhere. Disclaimer: The content contained in this article represents the opinions of the authors. The authors may hold either long or short positions in securities of various companies discussed in the article. The commentary in this article in no way constitutes a solicitation of business or investment advice. It is intended solely as an avenue for the authors to express their personal views on investing and for the entertainment of the reader. In particular, this newsletter is not directed for investment purposes at US Persons.